Does your driveway give you a whole host of problems you never thought it would when it rains? Standing water, wet feet, muddy footprints in the house and an underwhelming arrival are a common issue for home owners in the UK. But by installing some channel drainage you can solve these problems. Firstly, why is there water on my driveway? By replacing the natural ground in housing areas with an impermeable surface for driveways, the storm water run-off has nowhere to go and increases the risk of urbanised flooding. The storm water can’t soak into the ground as it would have done previously, so in result you get puddles of water collecting on your driveway causing numerous problems. With all the water from your roof, maybe even your neighbours roof and the roads, your existing drains are almost certainly overflowing resulting in even more water puddling on your driveway. In cold weather any water that falls and sits into small holes in your concrete driveway will freeze causing tarmac to crack, which can lead to potholes. Any water which sits on the surface of your driveway when it’s cold will freeze and look almost invisible resulting in accidents. Storm water run-off which collects near a garage or near the front of your house can cause a risk of flooding to the property. While your driveway is constantly damp this can lead to mould and moss developing in cracks in your drive. How to fix driveway drainage problems? By installing channel drain in your driveway this effectively manages the surface water giving it a place to go and will greatly reduce the amount of water sitting on the surface of your driveway. 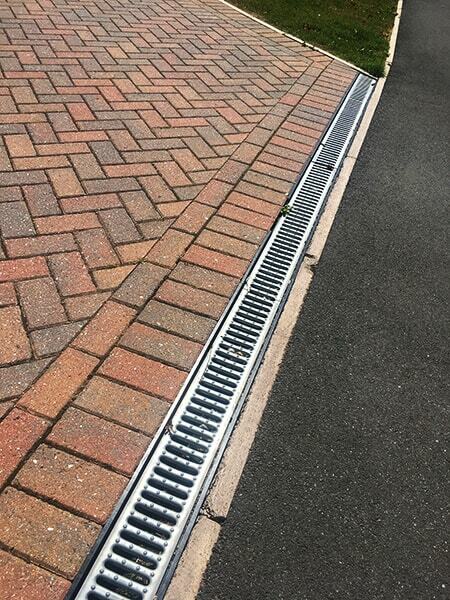 The type of channel drain suitable for a driveway comes with a B125 loading class, meaning the channel can hold a weight of up to 12.5 tonnes. 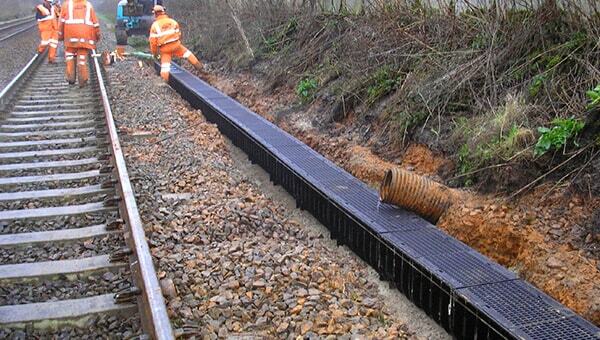 The channel comes with a grating which is metal and sits on the surface to allow water to run off into the channel underneath and be distributed to a suitable collection point. 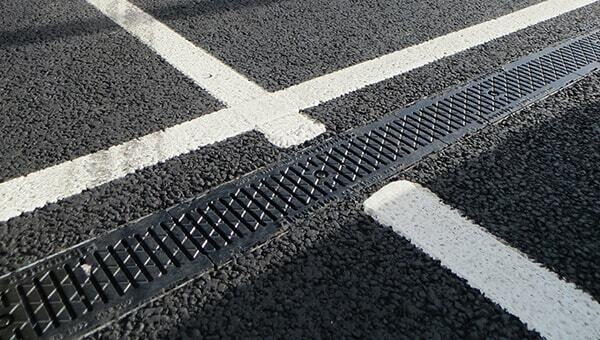 Ensure the channel is installed at the low point of the drive so that water can run down into the channel. Want to know more about the process of installing channel drain? 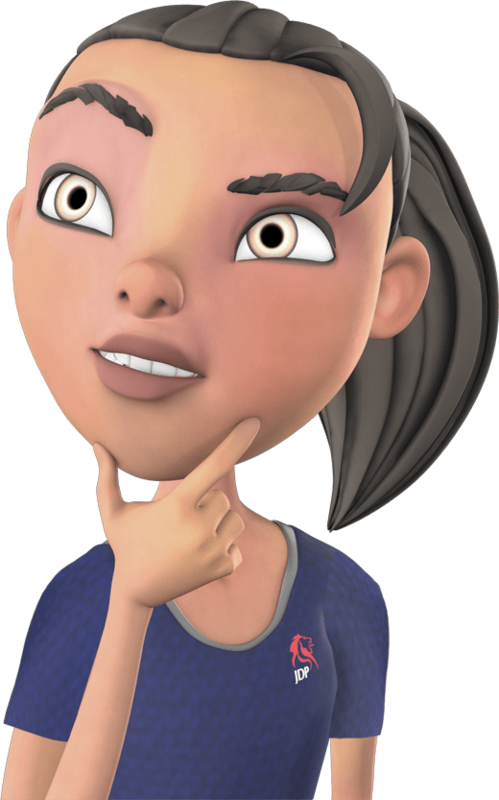 Take a look at our Knowledge Guide for a breakdown of the steps! Why is there water on my gravel driveway? Similar to lawn drainage, water could gather on the surface of the gravel due to the heavy impermeable soil underneath the gravel. 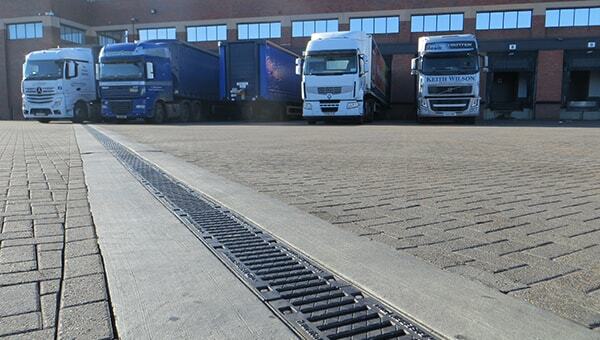 Whilst the gravel itself is permeable the water can quickly seep through to the ground underneath which, if not permeable, can quickly become sodden leading to a build-up of water on the surface of the gravel. The excess water puddles and creates pot holes in your driveway ruining the overall look. Freezing water in your gravel can cause accidents and slips as it can go unnoticed and become black ice within the small gaps of the gravel. How to fix gravel driveway problems? Different from concrete driveways, gravel driveways do not require channel drain. Instead the solution is to lay some land drain or twinwall underneath the gravel in a French drain system and redirect the water to a suitable outlet. Depending on the size of your driveway will determine whether you would need to use twinwall or land drain. More commonly for your average size driveway (with parking for 1 or 2 cars) twinwall would be the best pipe to use, as it comes in shorter lengths which you can cut, meaning you don’t end up with as much waste. 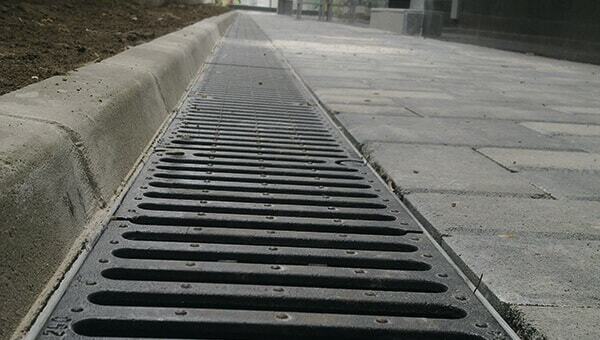 For larger driveways where the drainage problem is much bigger, land drain may be a more suitable option as it comes in longer lengths of 50m and 100m and is flexible, as opposed to twinwall which is rigid, meaning it would be easier to handle.